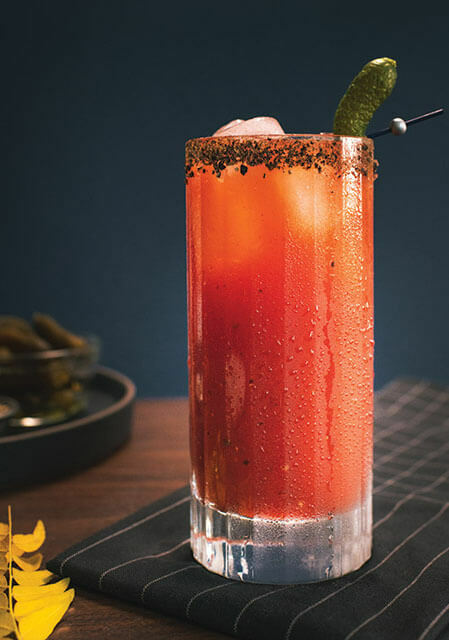 Make sure you muddle the chipotle pepper well to release its flavour. 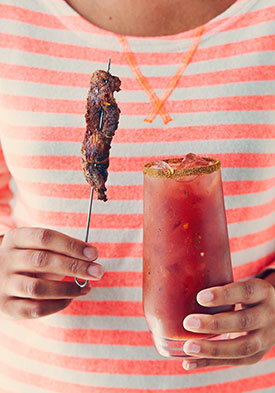 You can also add a barspoon of the adobo sauce to add another level of flavour and spice, if you like. 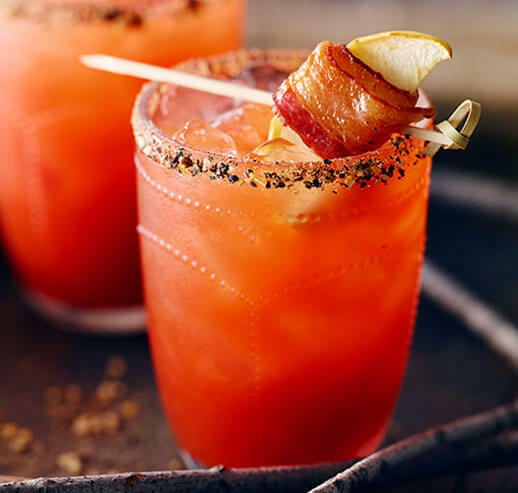 Experiment with ground smoked herbs and spices for the rimmer. 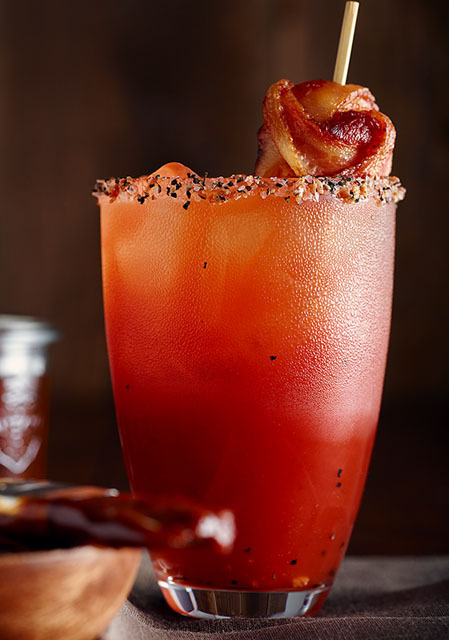 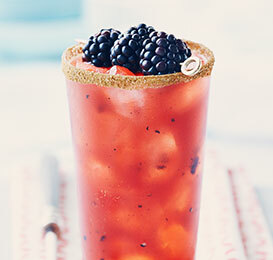 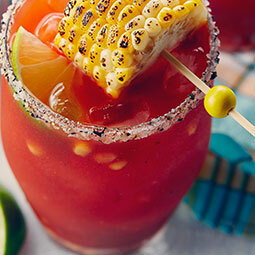 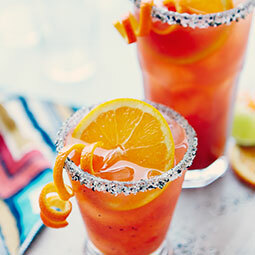 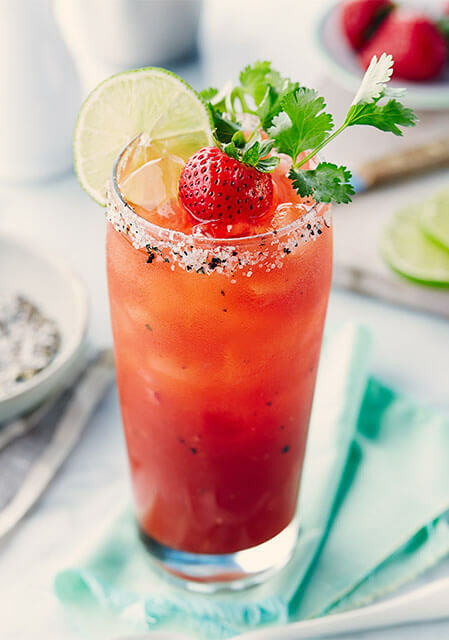 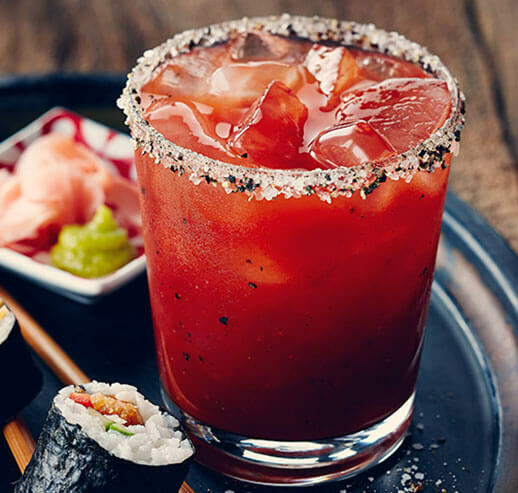 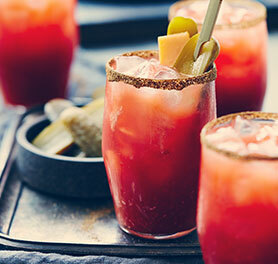 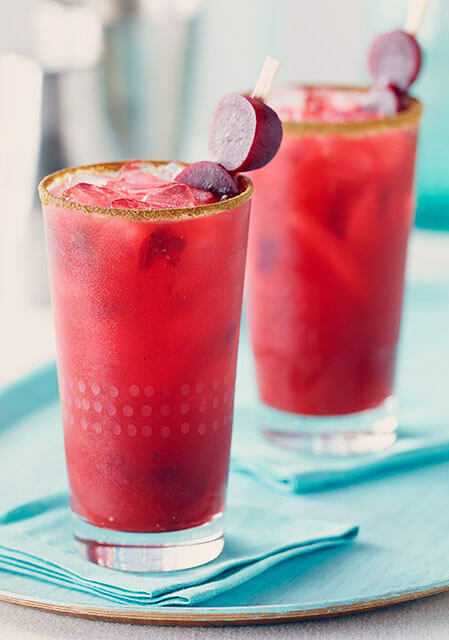 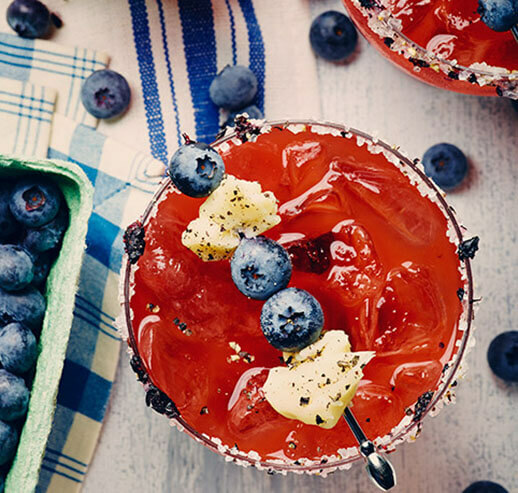 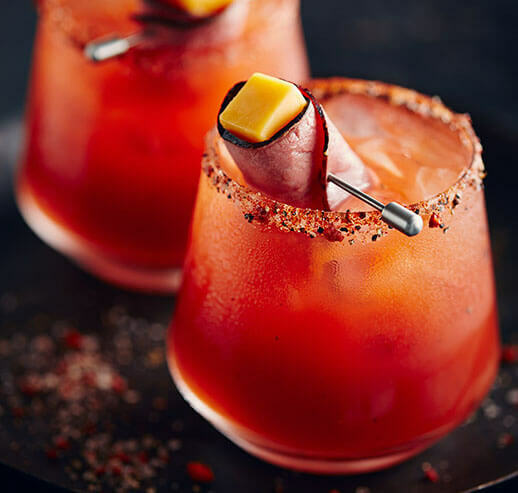 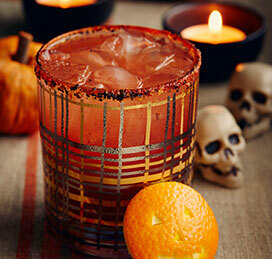 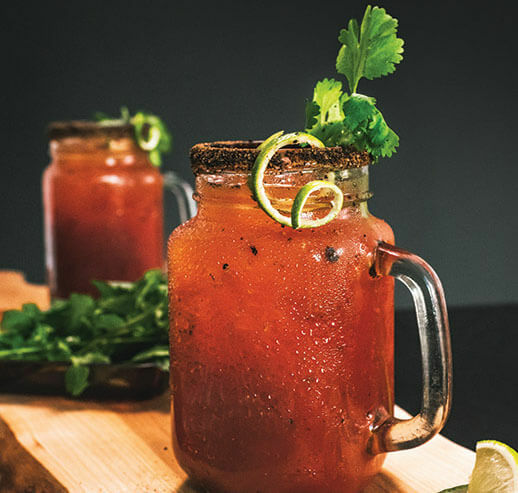 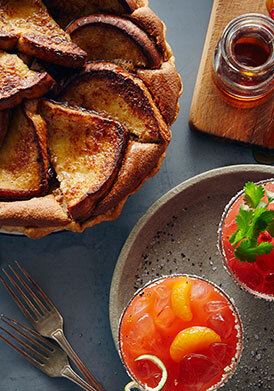 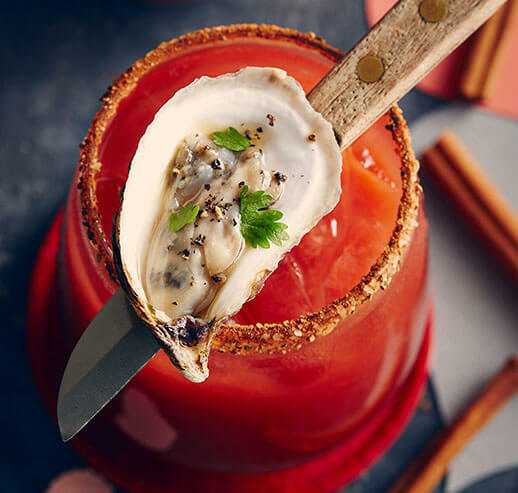 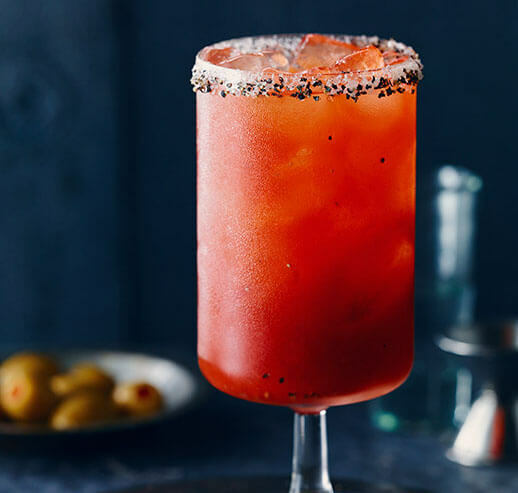 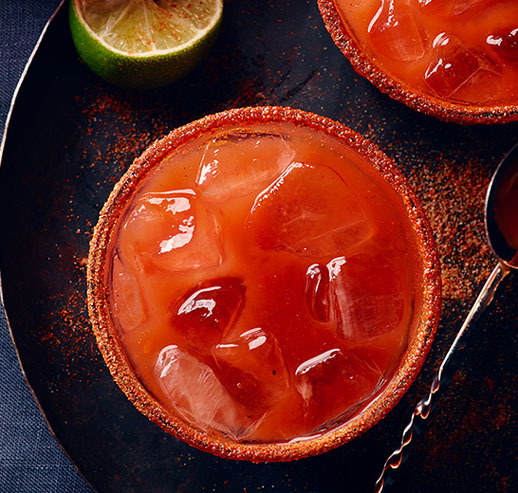 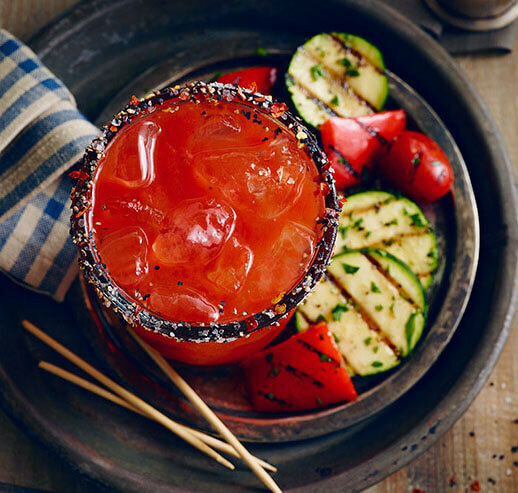 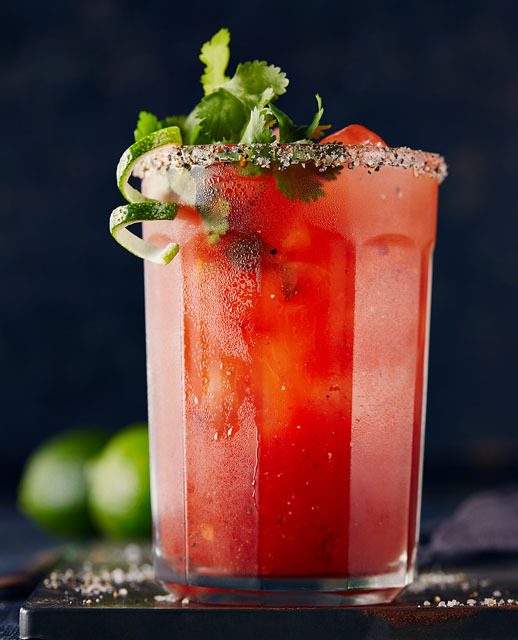 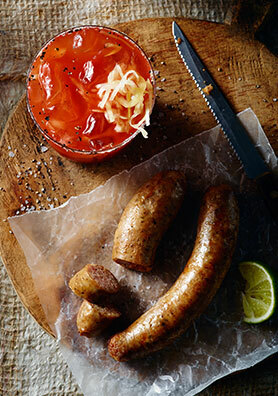 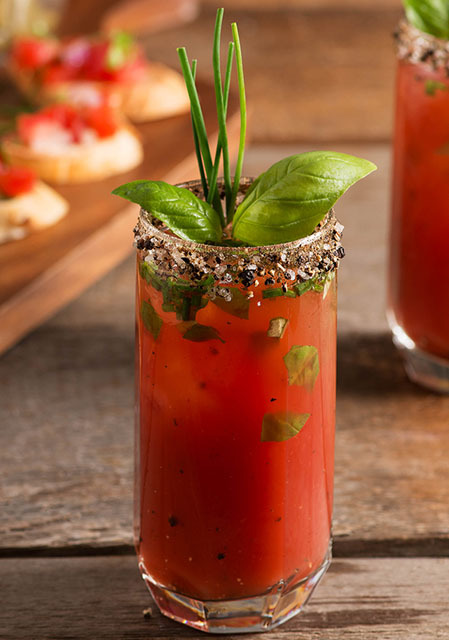 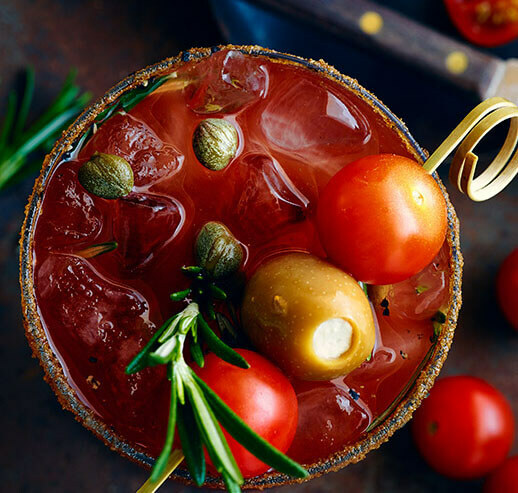 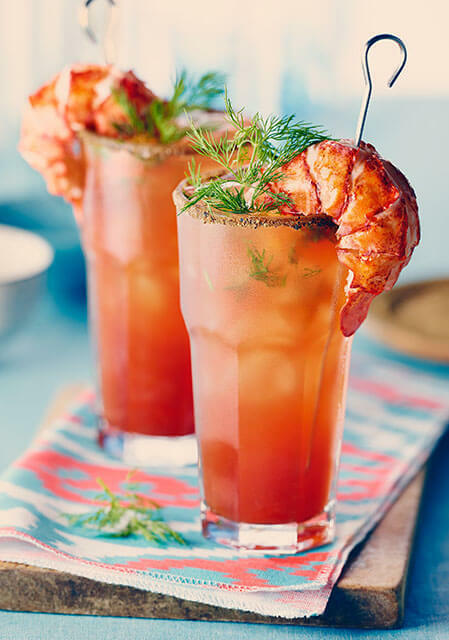 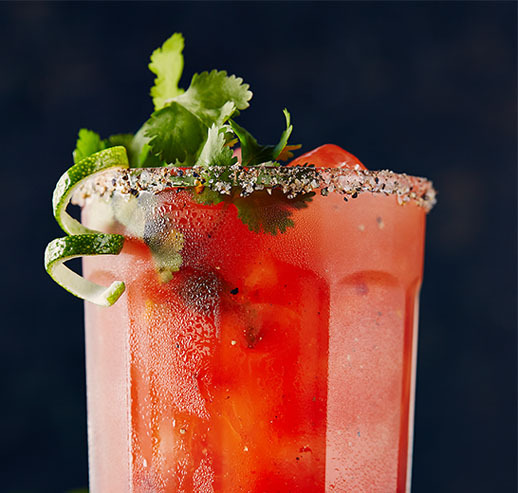 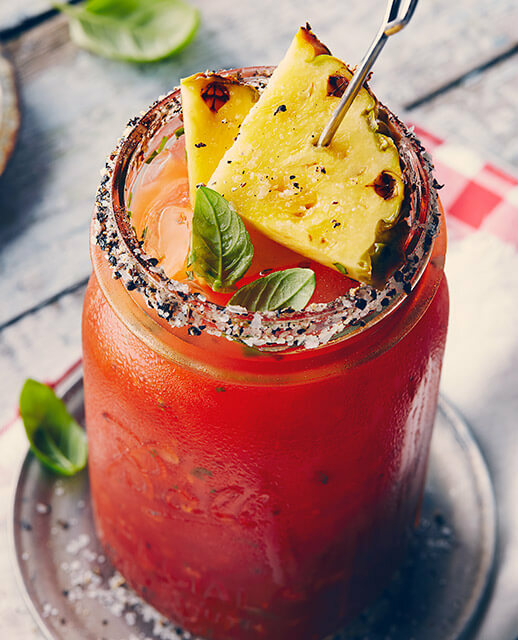 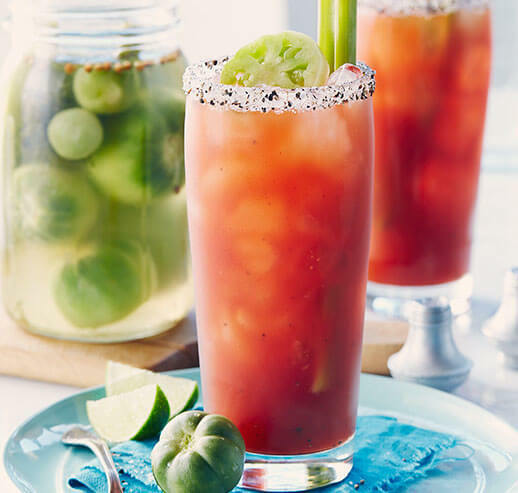 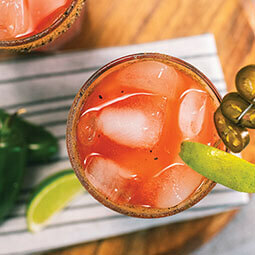 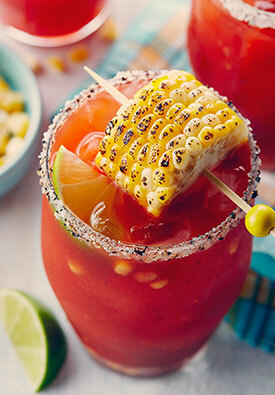 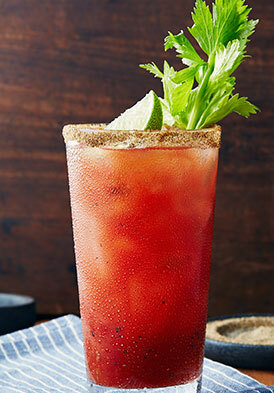 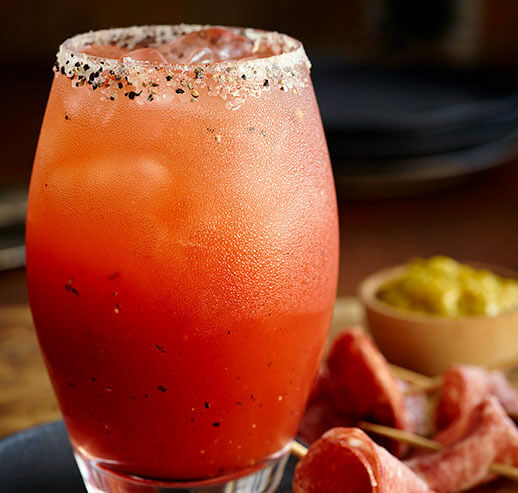 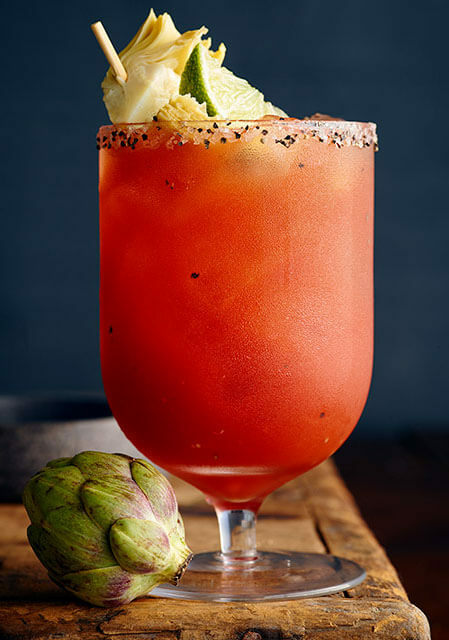 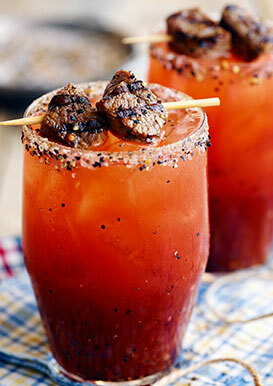 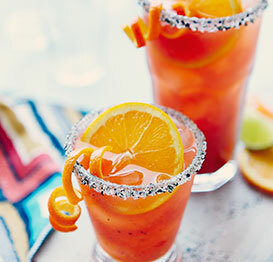 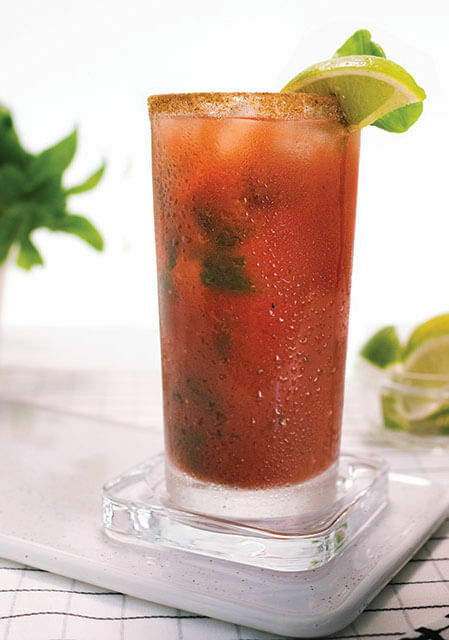 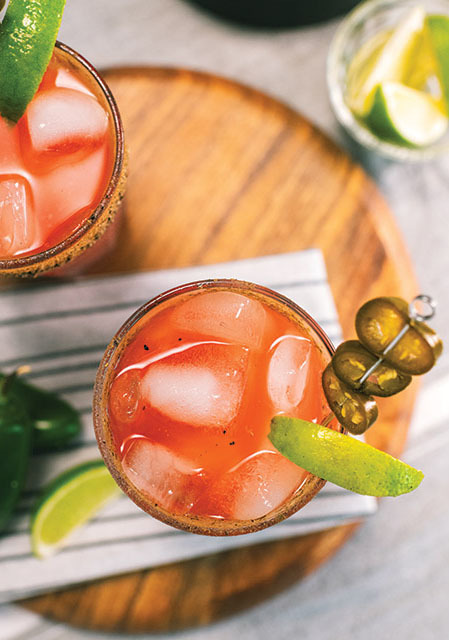 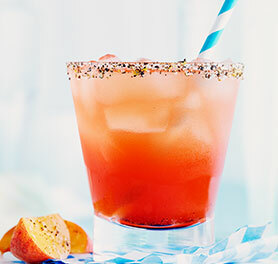 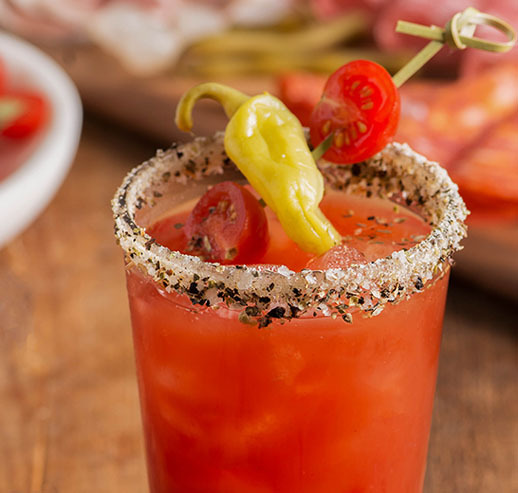 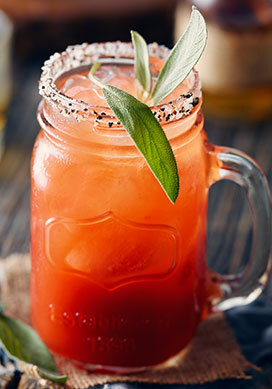 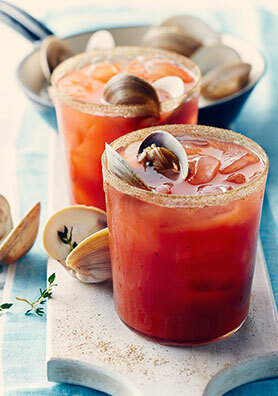 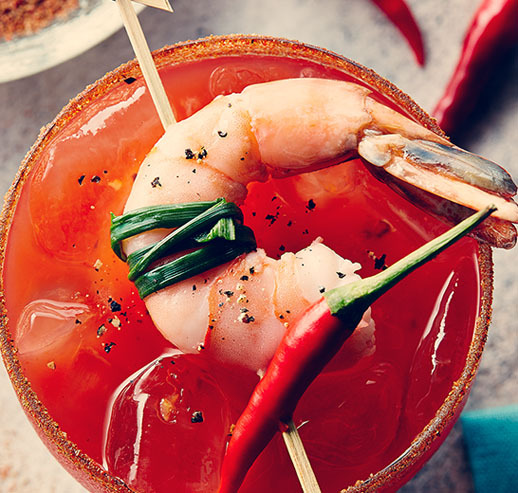 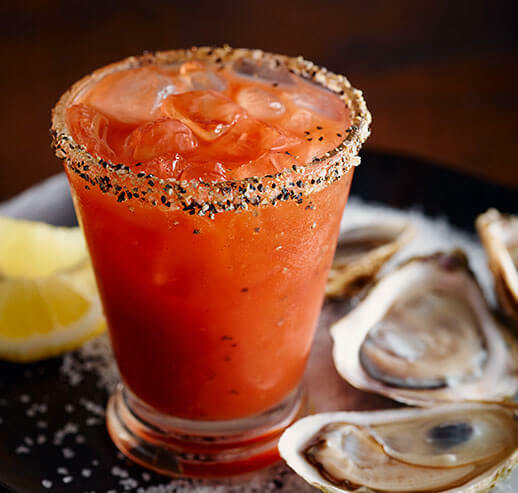 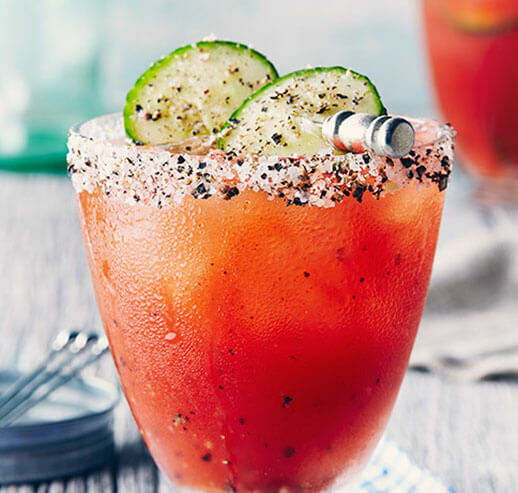 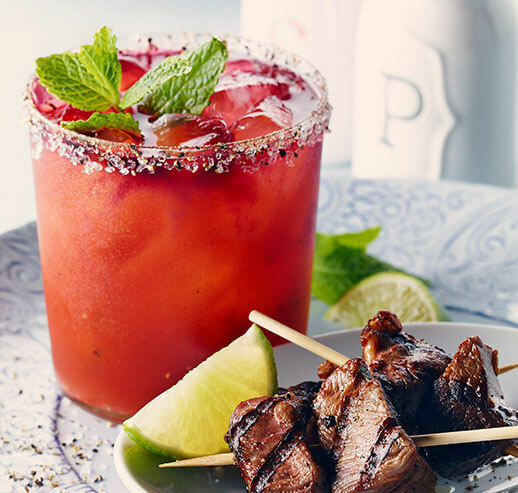 The flavours of citrus and smoke are crushed together in this muddled Mexican-style Caesar. 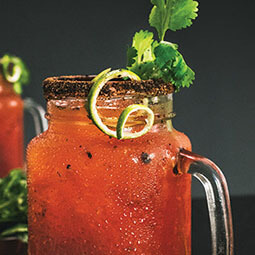 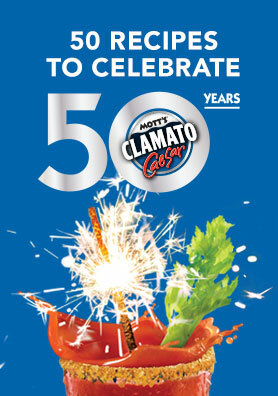 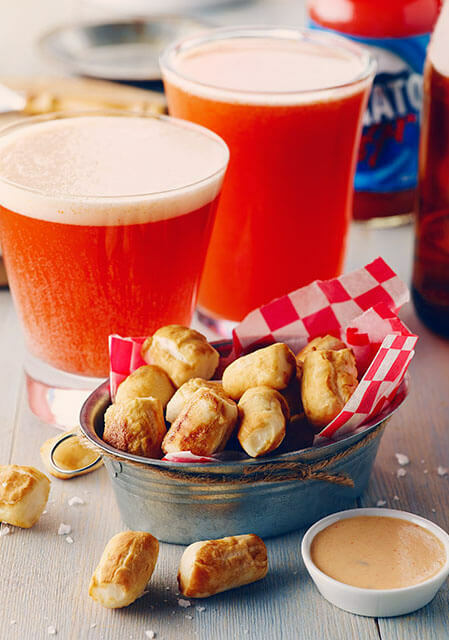 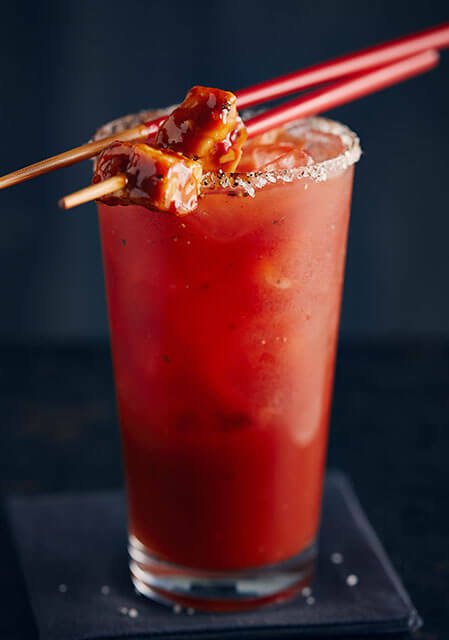 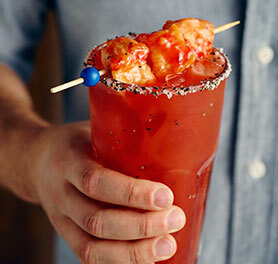 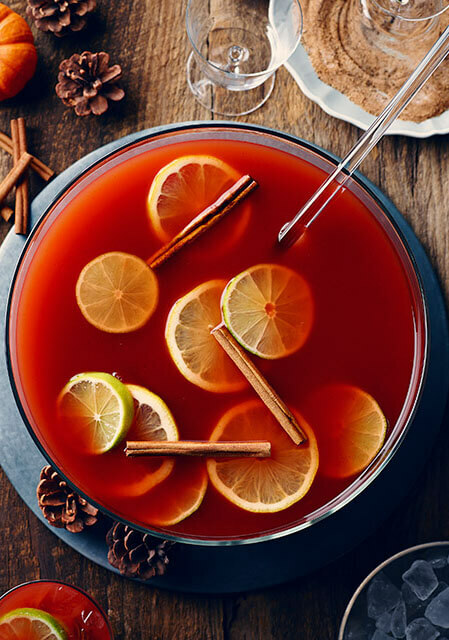 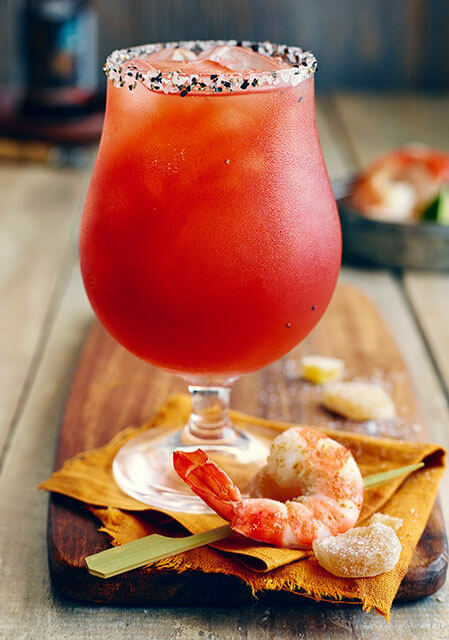 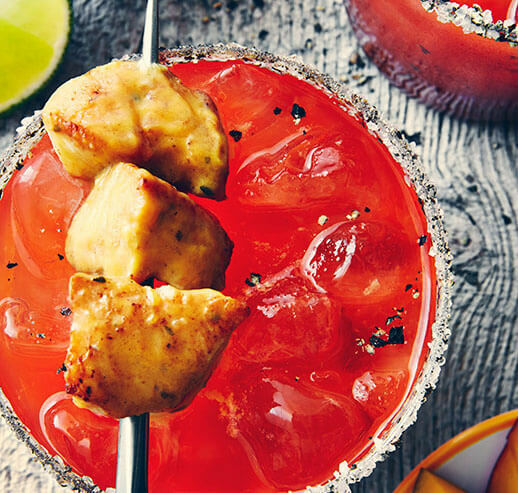 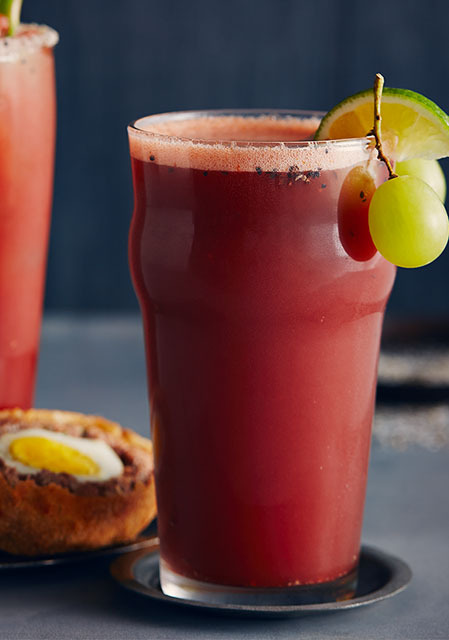 The adobo sauce–soaked chipotle gives a fresh, smoky heat that is balanced by the lime and Clamato. 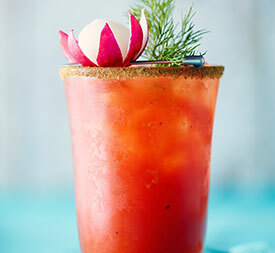 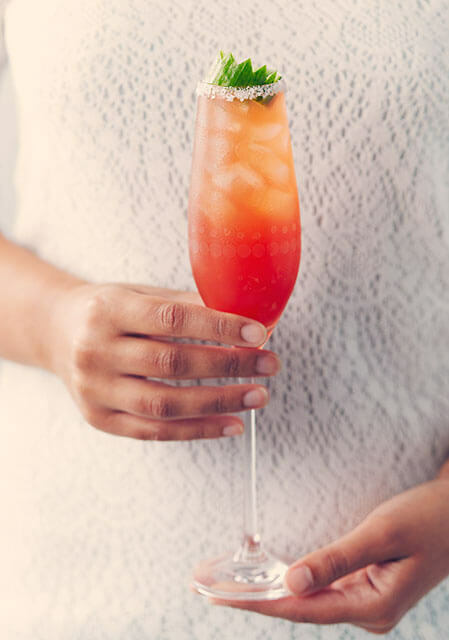 The aromatic cilantro garnish adds another dimension as you tilt back your glass to take a sip.